This Cala Llonga Hotel & Apartments Map shows popular Attractions, places of Tourist interest &Transport locations Click the name in the right column below to highlight the location on the map. 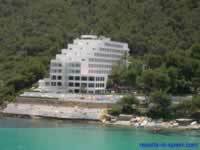 The Fies ta Hotel Cala Llonga was renevated in 2000.The hotel has 6 floors and 163 rooms with an air conditioned foyer and 24 hour reception. 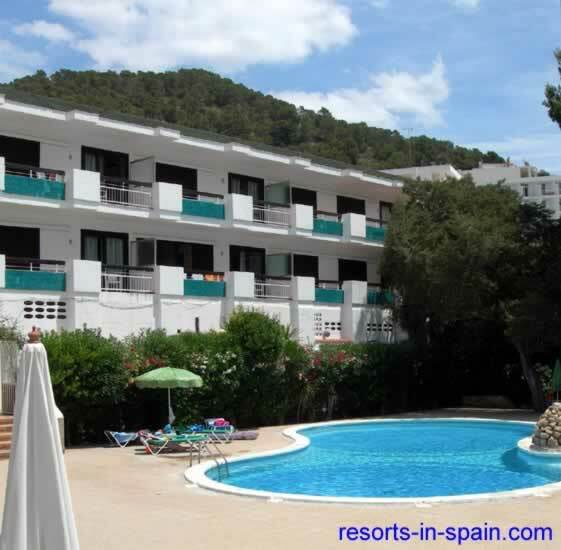 There are 3 bars , restaurant, tennis courts,and an onsite car park. 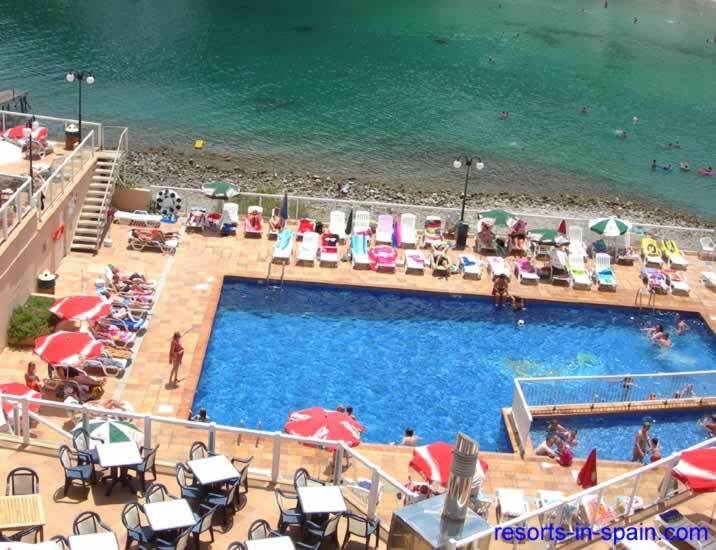 Fabulous views of the beautiful bay and beach. 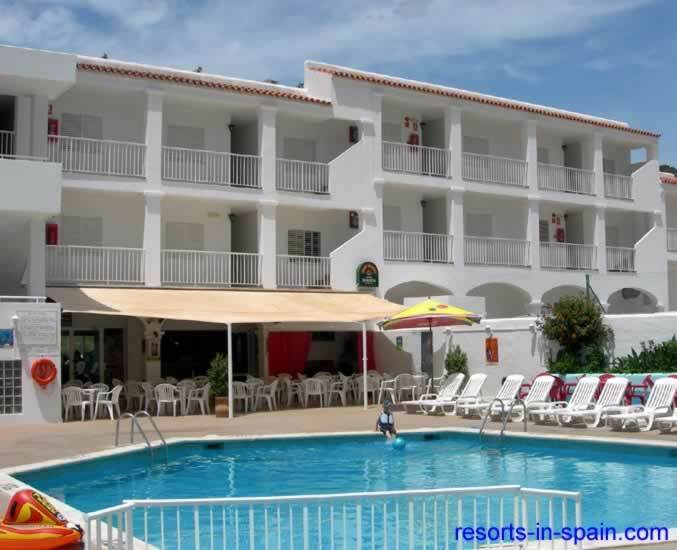 The hotel has an outdoor pool, kiddies pool and sun terraces with a poolside bar. Iinternational food is served in its buffet restaurant. Entertainment Lounge with frequent evening entertainment. Activties are organised during the day. 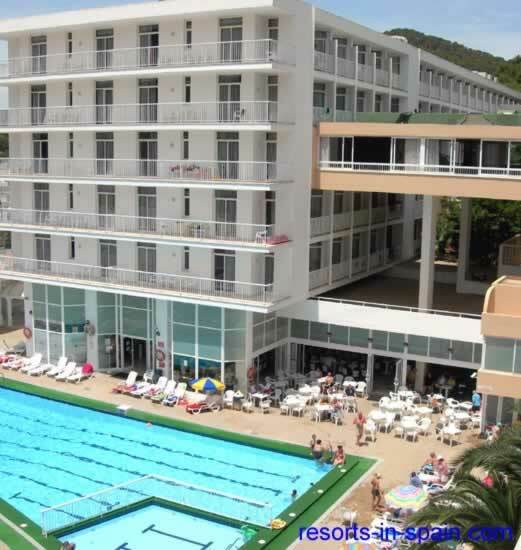 Facilities for darts, gym, french bowls, table tennis and waterpolo. There are 2 swimming pools, sun terraces with sunbeds, buffet restaurant, snack bar, TV rooms,and bar. 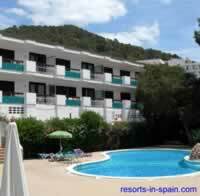 Near to Cala Llonga's amenities restaurants and bars including Mr Cairos Showbar.